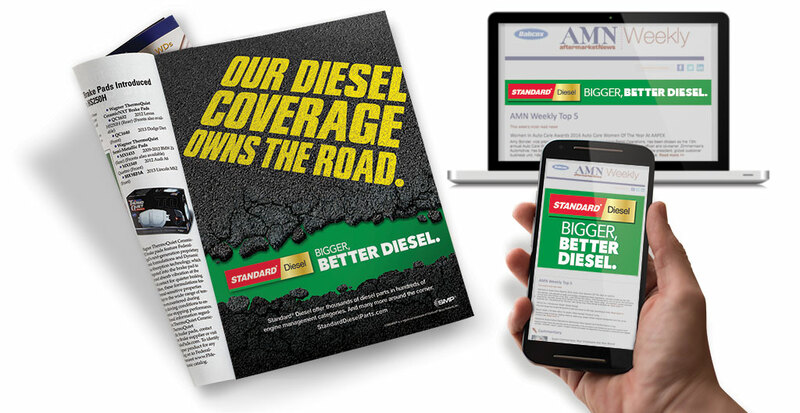 Standard® Diesel Advertising Campaign | TFI Envision, Inc.
TFI Envision created the ad campaign to position the Standard® diesel brand as the ‘go to’ line of diesel auto parts. 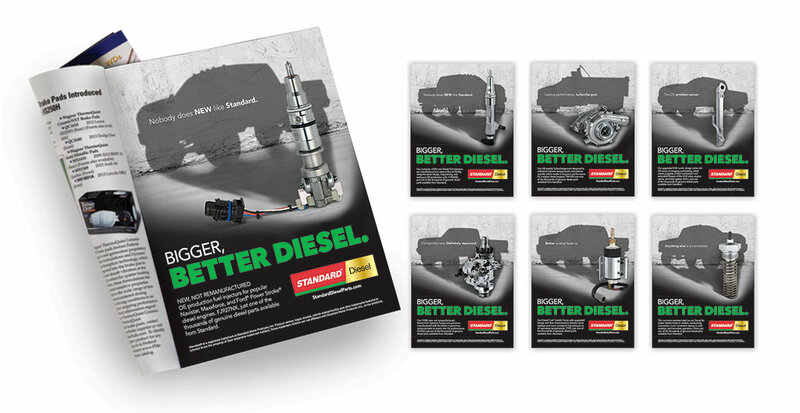 TFI Envision developed the “Bigger, Better Diesel” campaign, focused on the fact that Standard® was coming into the diesel category to be the leader. The campaign was expressed in a series of ads in both print and digital (animated and static). The first ad: “The Road” visualized the toughness of the brand, in print, by showing a road crumbling in the wake of the brand and in digital. The second ad: “Shadow” was developed to help the target audience understand that Standard has diesel parts for most diesel vehicles.